Yesterday I cooked two of my favourite things using methods that were different to my normal, tried and trusted methods. Why? Well, I fancied a change. 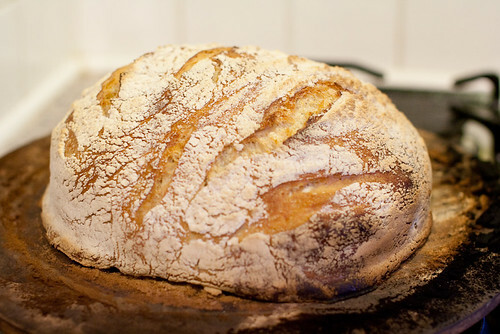 The things I cooked were a no-knead bread loaf and roast chicken. And unfortunately the new fancier methods didn’t improve either. So how did the chicken taste? Well, it was very nice. But was it nicer than my 10 year old tried and tested method? No. 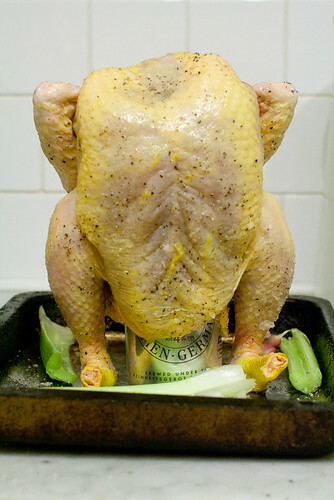 The breast meat was a little drier than normal and didn’t justify the more fiddly method. 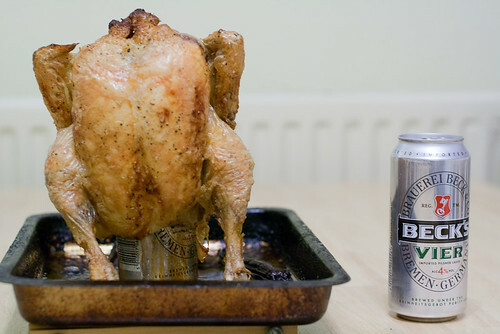 The chicken fell down a couple of times during the cooking so I had to stay in the kitchen the whole time listening out to check it didn’t fall over again. 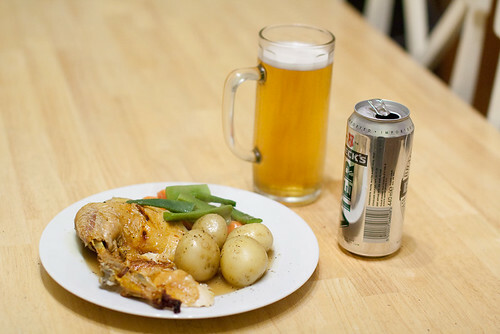 So although the method appealed to the Neanderthal Man lurking deep within me – beer and chicken, what an amazing combination! – I don’t think I’ll be repeating this soon. So the moral of this story is that if you get consistently great results using your normal methods, there is no need to change them!